Display your flag with pride by placing it in a high-quality solid wood flag display case. 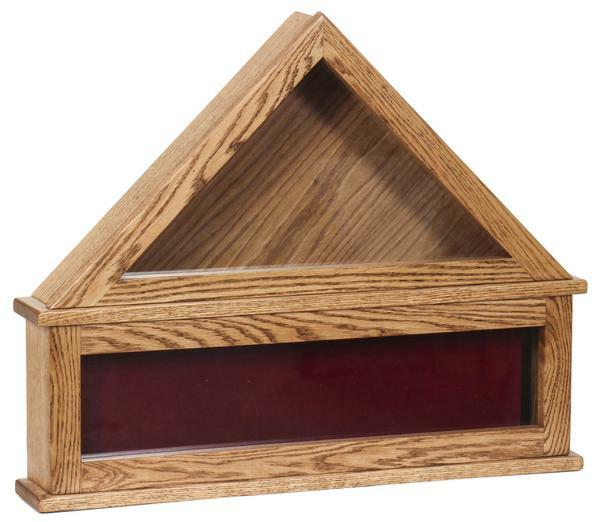 Our Amish Solid Wood Flag Display Case is crafted by highly skilled Amish craftsmen that pride themselves in producing high-quality wooden products. Customize your solid wood flag display case by selecting the solid wood and the stain of your choice. Solid wood options available for your Flag Display Case include -- solid oak wood, solid brown maple wood, solid cherry wood, solid quarter sawn white oak! Order online today or call us for assistance! Quality Flag Display Case Made in USA! 28" x 4" x 23"